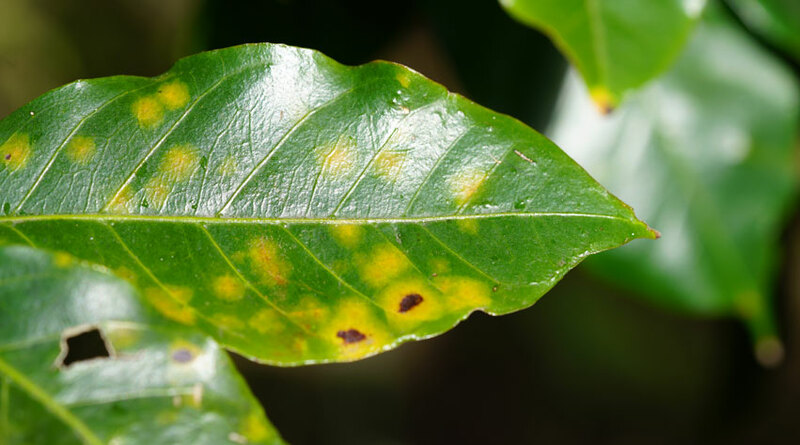 Rust diseases attack a wide range of plants, usually producing orangey or yellow, rust-coloured – but not always – spots on the leaves, and sometimes stems. 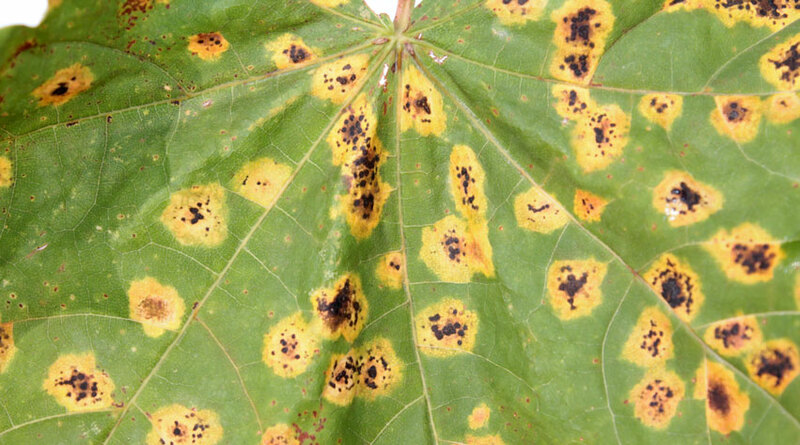 Rusts are common plant diseases. They mainly produce orange or yellow spots on the upper surfaces of leaves, and occasionally on stems and sometimes on flowers and fruit. Some rust diseases produce brown, black or white spots. Corresponding orange to brown pustules then appear on the lower leaf surface later in the year. Each species of rust fungus has a narrow range of plants it will attack, which is made up of one species or a few closely-related plants. For instance, leek rust attacks ornamental alliums, onions, garlic and chives. But antirrhinum rust won’t attack roses, chrysanthemum white rust won’t attack fuchsias. This means each one doesn’t spread as far as many people think. The rust disease tends to start on the lower/younger leaves, and then spreads further up the plant. Heavy infections can severely reduce the vigour of the affected plant and, in some cases – especially small, young or already weakened plants – can even kill the plant. What are rust diseases caused by? Several different, but closely-related, fungi cause rust diseases. Each one attacks a different species, or closely-related species, of plants. Spores are carried by the air onto plant leaves, where they germinate and enter the upper leaf tissue. Later, pustules are formed on the lower leaf surface above the spot on the upper leaf surface. When mature, the pustules burst open to release masses of spores that are carried on to other leaves on the same plant or to new host plants further away. For infection to take hold, the fungus needs prolonged periods of moisture on the leaf or high humidity. This means that rust diseases are usually worse in wet summers, or when plants are constantly watered overhead. However, some rusts are so virulent that they can be epidemic even in dry weather. Some rust fungi spend their life on one plant species, whereas others need two, usually unrelated, different plant species to complete their lifecycle. For example, European pear rust spends a part of its lifecycle on junipers. Rust diseases either overwinter on fallen leaves, releasing spores to infect plants the following spring, or on the parent plant. Try to keep plants growing as strongly as possible to help them fend off disease attacks. However, when large outbreaks of rust diseases hit your garden, it may not be possible to do very much about it. Rust diseases are some of the most difficult to eradicate. Carefully pick off and dispose of affected leaves when the disease first strikes to reduce or slow down its spread. This is highly unlikely to actually eradicate the disease. Try not to disturb the spores in the pustules, or you will be spreading the disease further. If a secondary host is needed to complete the lifecycle, you may want to try and remove them from your garden. Once a plant species is affected, it may be best not to grow these plants for a few years or alter your growing techniques. Hollyhocks, for example, may now be best grown as annuals – rather than biennials and perennials – planting new plants every year and disposing of them after flowering, rather than keeping them going from year to year. Unfortunately, there are currently no fungicides approved for home gardeners to use to treat diseases on edible crops. Since rust diseases are worse on plants that are under stress, make sure to grow plants as strongly as possible – watering and feeding as and when needed. High nitrogen fertilisers produce soft leafy growth that is more susceptible to diseases, whereas potash-rich fertilisers produce harder growth that may be more difficult for the spores to infect. As moisture on the leaf is needed for the spores to germinate, water susceptible plants at ground level, rather than watering over the foliage.